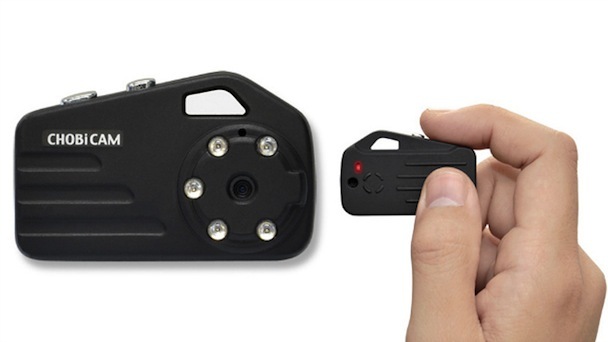 JTT has released what looks to be the smallest consumer night vision camera in existence. About the size of your typical CF card, the CHOBi CAM 3 can snap 11MP photos and take 1080p video for up to 120 minutes on a charge — and it does it all in the dark. The night vision capabilities come courtesy of 5 infrared LEDs that light up the night for the camera’s sensor without doing anything for your eyes. And the 2 hours worth of stills or footage you’ll be able to capture will be stored on a microSDHC card (up to 32GB). As you can tell, the range of your night vision capability is only about 3 feet, but the quality is still surprisingly good for something so ridiculously small. And since it’ll only set you back about $54, you’re not likely to find a cheaper, or more portable, alternative. Here’s a short sample video that shows off the camera’s capabilities. For more information follow the link below.